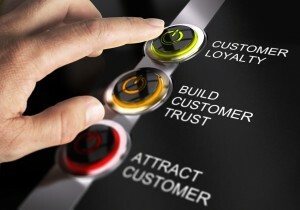 Home » Blog » How to Build Customer Loyalty for Your e-Commerce Business? Online businesses and retailers today need to build customer loyalty to increase customer satisfaction. For customers to keep coming back to you for the products and services you offer, you need to guarantee them a good experience and products that are valuable. While there are many different ways to build customer loyalty in e-commerce, there are some methods that work best and should always be implemented. The following tips can help get you started on improving your e-commerce, so that your customers are happier and motivated to stick around for a long time. 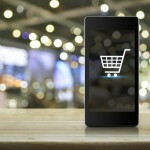 An important way to build customer loyalty for your e-commerce business is to make sure that your customers’ first experience with a purchased product is a good one. If you start off your relationship with your customers by having a product that disappoints them, you will not go anywhere. If your item, software, or content is poorly made, your customers will not return. Even worse, they may hurt your business by leaving bad reviews. That’s why it is important to ensure repeat business by delivering quality products that your customer will find value in. If you’re wondering how to build customer loyalty in retail, on-time product delivery is essential. Now more than ever, customers want faster deliveries, more delivery options, and less added costs. If you have inventory warehouses that are close to your customers, you will have an easier time providing more efficient delivery solutions. A sure way for you to ruin your relationship with your customers is to deliver them the wrong products. Especially when customers shop online; they expect the image of the product that they see online to be almost identical to what they receive at their door. For example, if your product image online shows a light pair of blue jeans, your customer should not be receiving dark blue jeans. Ensuring order accuracy is one of the most important ways to improve your retail customer loyalty and grow your business. The pillar of brand loyalty is consistency. Your customers should be able to expect the same level of service every time that they have an issue or question about your business. You can achieve this by ensuring that your products and services are always up to par with customer expectations. You should ask yourself how efficient you are at getting inventory back into circulation once merchandise has been returned. If your return policy is inadequate or troublesome, this can impact service levels and lead to poor recovery rates and increases labor costs. Happy customers are loyal customers, and this can be accomplished by improving your purchase return policy. Inventory management and visibility is extremely important to providing excellent customer service. You should have a system set in place that maintains accurate online order fulfillment results. By working with a third-party logistics (3PL) partner, you will have the tools you need to provide updated, real-time views of your warehouse levels and product inventory. Many e-commerce companies end their engagement with a customer once a product is purchased and delivered. However, if you want to establish a stronger customer relationship, you need to go beyond fulfilling an order. Very few online retailers understand that the customer’s journey is a cycle, and can always revolve. What happens after a purchase is equally as important as what happens before. If you reach out to your customers after they receive their order to ask them questions about the product or your service, you can create value for them that goes beyond the final step in the supply chain. It provides your customers with a way to voice their experience with your store, and also helps you understand your strengths and weaknesses. Providing good quality customer service is an important way for you to develop and boost customer loyalty in e-commerce for your business. This does not have to be difficult or expensive, either. There are many options available for you to strengthen your relationship with your customers, such as incorporating a live chat on to your web site to make it easier for customers to reach someone. Self-service options like this can also make it easier for customers to solve common problems or find answers to frequently asked questions. Additionally, if you make a social media presence for your business, you can provide solutions to customers and communicate with them in a more personal way. Customer value and loyalty can be boosted if you put effort into your content marketing. Your content, copy, and marketing actions should be entertaining, engaging, and provide valuable information to the customer. Look for ways that your customers interact with your company, and make sure that they are having a positive experience every step of the way. If you can guarantee this, you will have repeat customers and improve your chances of getting recommended by happy customers. Outsource Your e-Commerce Fulfillment with APS Fulfillment, Inc.
E-commerce order fulfillment has become an incredible opportunity for businesses to improve their customer experience and loyalty. When properly implemented, the system works efficiently and quickly, providing customers with convenience and an enjoyable online shopping experience. Throughout the year, it is important that your e-commerce business is ready to handle customer orders and issues. This may be a difficult task for you, and that’s where a 3PL company you can trust goes a long way.